Everyone is talking about the great performance that the 7-year-old Jacob Tremblay gave in “Room.” And they should: it is one of the best child performances I have ever seen in my life. It's almost a shame he's in the movie so much because obviously the Academy had reservations about giving a Best Actor nomination to a little boy. He's just really something. The film, which also stars Brie Larson, is such a fascinating experience you almost forget how outright disturbing the initial premise is. Larson is a woman who lives in a small room with her 5-year-old son Jack (Tremblay). To Jack it's the only place he's ever known because his mother creates an entire fantasy about the world they live in. In a weird way it's themes are reminiscent of “Life is Beautiful” in that both films are about parents shielding their children from the horrors of reality. Of course, this woman isn't in this room by choice: she's being forced there against her will by a man we only come to know as “Old Nick” (Sean Bridgers). It's disturbing yes, but it's so emotionally rewarding and the filmmaking and acting are so good that it's worth every painful minute. I feel conflicted about discussing the plot of “Room” without giving too much away but it feels like from the trailer and from the film's plot description it's not a surprise that half of the film takes place in the room and the other half takes place outside the room. The first half of the film shows a filmmaker at the top of his game. Lenny Abrahamson finds so many interesting ways to tell this story. First of all it begins with a wonderful script from Emma Donoghue who adapted her own novel. She wisely tells the story almost entirely from the point of view of Jack. Abrahamson's camera relays this to the audience in ways that are pretty impressive. Just the fact he was able to make such a small, confined space so interesting is an achievement in and of itself. The film's later half opens up a lot but is still mostly from Jack's point-of-view. Essentially it's a really fascinting and different story about growing up and learning about how the world really works. The performances here are simply astounding. Larson and Abrahamson have so much chemistry together you'd think they were actually mother and son. Both are simply standouts. Joan Allen is great as well in the film's second half also as a mother who suddenly has her daughter back in her life. 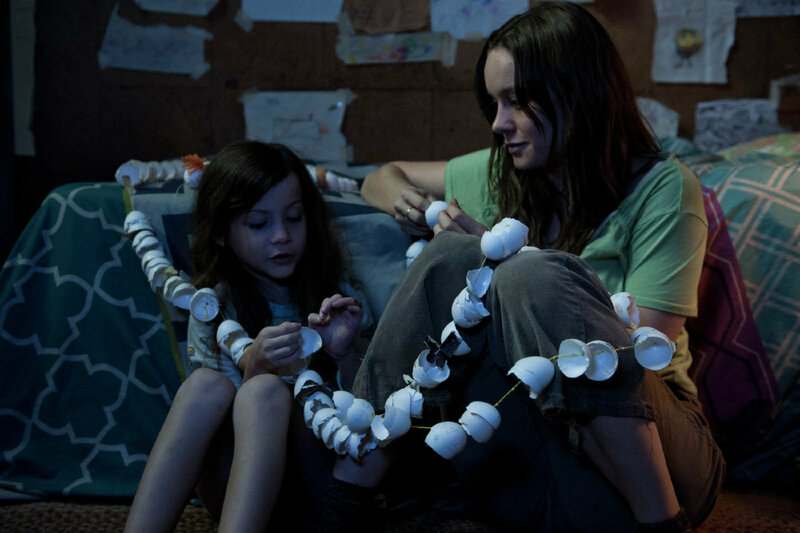 What's so amazing about “Room” (and sure one could argue the film's first half is stronger than the second) is how easily this could have been a made-for-TV melodrama. It avoids all of that to tell a coming-of-age tale in a very unique way. Trailer for Room on TrailerAddict.